In 1938 and 1939, the British provided homes for nearly ten thousand children and teens from the Nazi occupied countries of Germany, Austria, and Czechoslovakia, saving them from sure death in the ghettos, concentration camps, and gas chambers of WWII Europe. 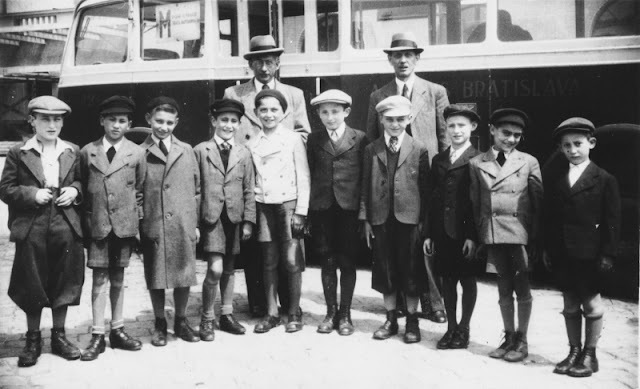 To read how this amazing endeavor began, clink on the link to my April 1st post: The Kindertransports: Nearly 10,000 Children Rescued from Nazi Territory. Who were these rescued children and what are their stories? Jack Hellman lived in the little village of Tann, Germany, population fifteen hundred and eight percent Jewish. His parents owned a general store where they sold feathers and down, piece goods, and ready-to-wear items. Jack’s family observed Jewish holidays, ate strictly kosher meals, and attended the local synagogue faithfully. Anti-Semitism was evident in the late 1920’s, and it increased with the rise of unemployment in the district where Jack lived. Shortly before Hitler came to power, the SS entered Jack’s home and beat his father unconscious. The Nazis held torchlight parades in Jack’s village. He lay in bed haunted by the shadows flickering across the walls of his room and the marchers’ songs of violence against the Jews. The local schoolmaster unmercifully beat the Jewish children with a cane, including Jack who managed to receive said discipline at least every other day. Most of Jack’s friends had been non-Jewish, but now they would no longer talk to him or his parents. When he was nine-years-old, a group of boys attacked him, throwing him through a plate-glass window, leaving him with severe cuts. 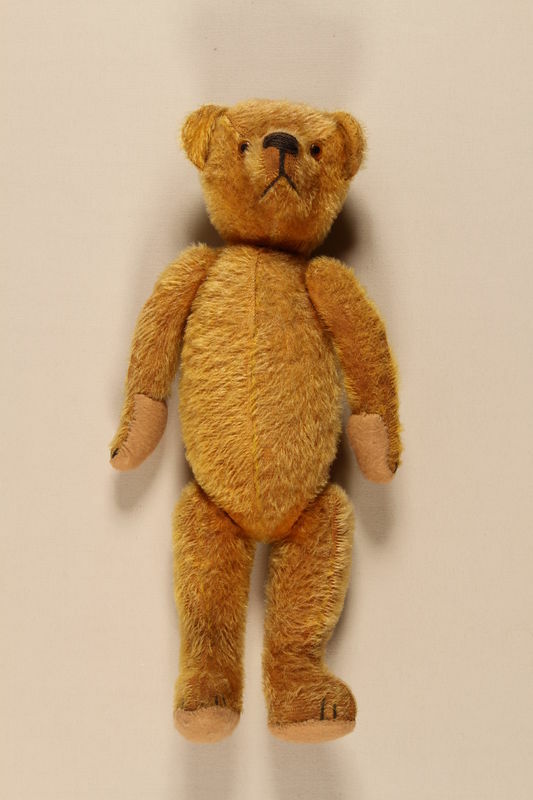 In 1935, after Jack’s sister was also attacked, their parents sent her to live in a large Jewish community in Hamburg, and they sent Jack to live in a children’s home and attend the Philanthropin School in Frankfurt. Ironically, Jack’s Jewish headmaster was just as sadistic as the schoolmaster in Tann. 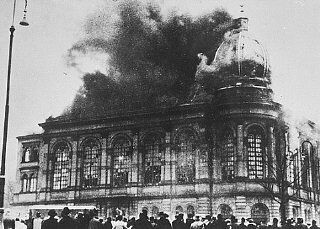 One November morning while riding his bicycle to school in Frankfurt, Jack observed two big synagogues on fire. Every Jewish business he passed had broken windows, had been looted, or merchandise had been deposited in the streets. School was cancelled and he was sent home. A message from Jack’s uncle awaited him—he was to tell his parents who were visiting him not to return home. Their store back in Tann was ruined, their car had been pushed down the hill, and their apartment had been looted and their furniture thrown in the street. Jack quickly rode his bike to the train station and warned his parents, but they refused to stay in Frankfurt. After arriving home in Tann, Jack’s father was immediately arrested and sent to the Buchenwald Concentration Camp. He wasn't released until early January. That evening the Nazis broke the windows of the children’s home and took away the house father and everyone sixteen to sixty-five years of age. Jack was twelve years old and knew he and his family needed to leave Germany as soon as possible. His sister had already emigrated to the United States earlier that year (1938). The rest of the family had received quota numbers and had secured an American who guaranteed they wouldn’t become a burden to the U.S. government, but the number allowed into the country from Germany was so small that they had a five to six-year wait before they could leave. The daughter of Jack’s house parents wrote to Baron James de Rothschild in England, requesting his assistance. Rothschild sent an emissary to Germany who arranged for the house parents, their children, and twenty-six of the boys in their care to move to England under Rothschild's sponsorship. They left with the Kindertransport on March 16. Some parents refused to let their boys leave the country without them, but none of the boys who stayed behind survived. Jack commenced a campaign to convince his first cousin in London to get his parents out of Germany. The cousin agreed to get visas for Jack’s parents if Jack’s father had a work permit. 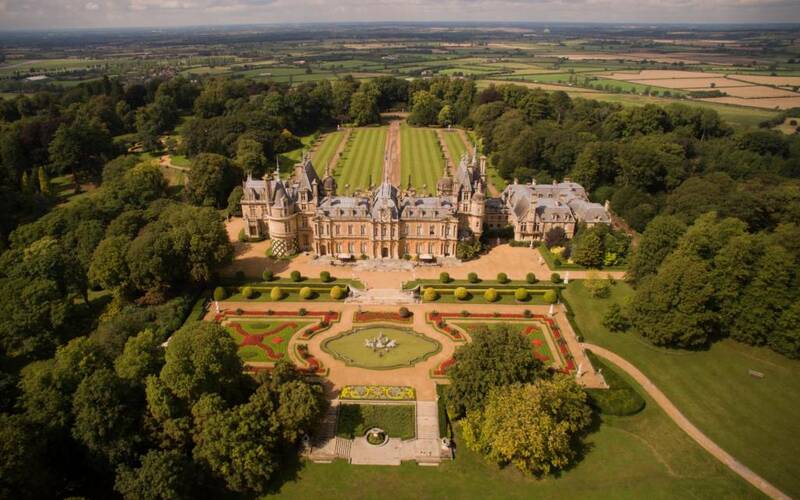 Jack went to the manor house and personally asked to see Baron Rothschild. Rothschild asked if Jack’s father would be willing to work on the chicken farm, and Jack told him his father would do anything. The Baron went to the local notary, wrote out the work permit, and Jack’s parents soon received permission to enter England. 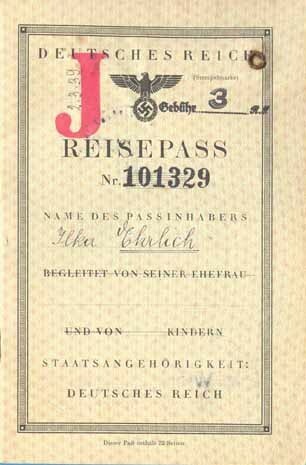 When they tried to leave Germany on August 30, 1939, only Jack’s mother was allowed across the border because his father didn’t have a “J” for Jew on his passport. Jack’s mother refused to leave without her husband, and together they went to a local bureaucrat. After Jack’s father emptied his pockets, the official corrected the passport. Jack’s parents arrived in Harwich, England, on September 1st, 1939, the day World War II began. Jack was one of the few children from the Kindertransports to ever see his parents again. Jack found a place for his parents to live—a little six-foot by eight-foot flat with an open stairway. They were more happy and content living in that little flat than Jack remembers them being at any other time in their lives. Jack’s father also enjoyed his job at the chicken farm. After two years in England, the Hellman's emigrated to the United States where they were reunited with Jack’s sister and his mother’s brother. Their quota numbers came up much sooner since they moved from England to the U.S. rather than from Germany. Jack went on to become a building contractor in New York City. Sources: Into the Arms of Strangers: Stories of the Kindertransport by Mark Jonathan Harris and Deborah Oppenheimer. "15 Who Fled Nazis As Boys Hold A Reunion" by Jon Nordheimer. Special to the New York Times. Published July 28, 1983. 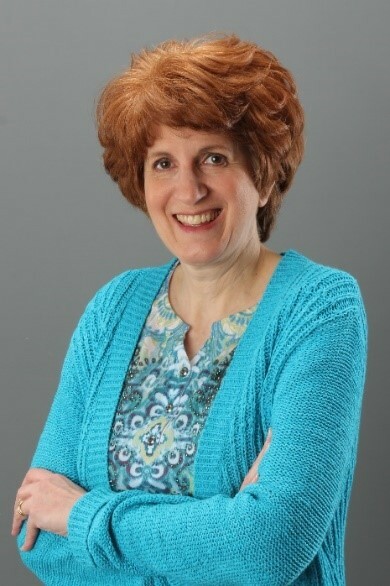 Cindy Stewart, a high school social studies and language arts teacher, church pianist, and inspirational historical fiction author, won American Christian Fiction Writer’s 2014 First Impressions writing contest in the historical category and is a semifinalist in ACFW’s 2017 Genesis contest. Cindy is passionate about revealing God’s handiwork in history. She resides in North Georgia with her college sweetheart and husband of thirty-six years and near her married daughter, son-in-law, and three adorable grandchildren. She’s currently writing a fiction series set in WWII Europe. A touching and inspiring post how the lives of individuals can be impacted when someone reaches out to others during difficult times. I've enjoyed reading Jack's story and your the other posts about Kindertransports. Thank you for sharing. Thank you for your kind words, Marilyn. It's hard to fathom, but those who reached out spared so many more than the original 10,000 children - they saved hundreds of thousands of future generations. Thank you for sharing about this story. Thank you for stopping by, Melissa. I'll post a new kindertransport story next month. It's so hard to imagine that kind of persecution. And we Americans get all flustered if the "wrong" person becomes elected to government. I love how Jack interceded for his parents, being brave enough to speak to the Baron himself. Thank you for the informative posts. Hi, Connie. You're so right. Thank you for commenting. Whenever I get frustrated over politics, I try to remind myself of these stories and give thanks for what we've been given. oh thank you for sharing this piece of history with us. I am new here and am so enjoying the bits of history coming my way. It is so wonderful that there are people who care about other people. I'm so glad you enjoyed the post, Lori. I love to learn about miracles from history-they usually start with one person taking a risk to help someone else, to be God's hands in a dark place. Many more stories to come! Wow--what a story! I love how you focused on one specific child's journey. I saw a play with my family called "Kindertransport" a couple of years ago and it was powerful and enlightening. Thanks for sharing more about this piece of history with us! Thank you so much, Kiersti. I love learning about and sharing the stories of those who survived such a difficult time in history. I enjoyed reading Jack's story with its "ups and downs." I can't imagine living in a 6 x 8 flat, but admired them for their attitude. I especially liked the happy ending. Hi, Ruth. Yes, Jack was one of the few children whose parents survived. If they'd waited any longer, the doors to leave Germany would have been closed to them. Thanks for stopping by and commenting. I saw a play called "My Heart in a Suitcase" yesterday with my children. Fantastically done, but incredibly disturbing. We are falling full into learning about this wonderful turn of events for so many innocent, young jews who were given a second chance. Thanks so much for writing this piece. Well done! Made me cry and want to learn more! Thank you so much for your kind comments, Miki. I've posted links on my personal website (cindykstewart.com) to more Kindertransport stories if you want to check them out. Blessings to you.